You know, by now, that we love football. A large portion of our Saturdays is devoted to watching it. AND we like to eat "football food" while we watch. You know-foods that don't require utensils, like burgers, wings, chips and dip. We really like to make onion dip and eat it with pretzels. Usually I make it with reduced fat sour cream - which sounds like a healthy choice to me. 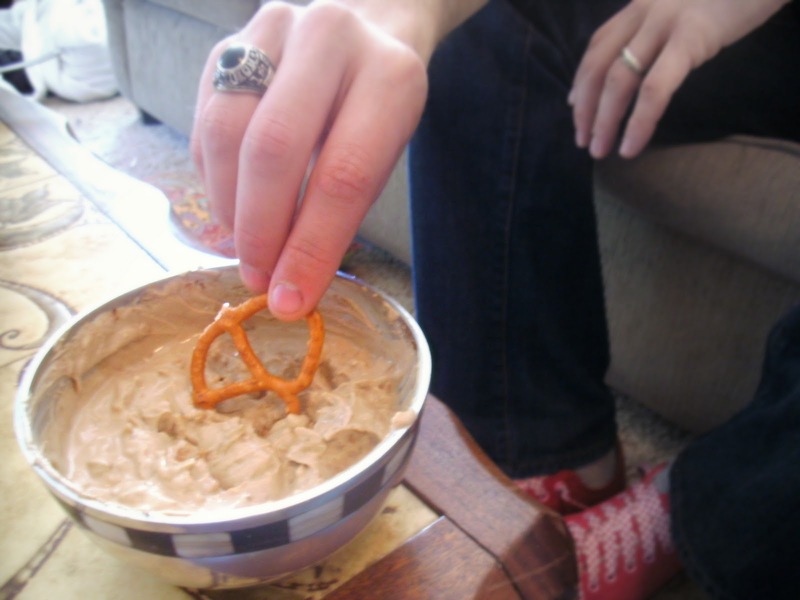 However, in an attempt to be even healthier Ryan and I tried substituting Plain Greek Yogurt for the usual sour cream. It passed the taste test with flying colors -there was a little more tang, but we liked it over all. We did add 1 1/2 packets of onion soup mix to compensate for the tanginess. Anyway here is the really exciting part - the nutritional comparison. I calculated this for 16 oz. of reduced fat sour cream vs. 16 oz of nonfat plain greek yogurt.